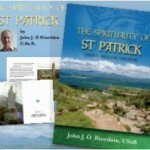 The Redemptorists in Ireland (1851 – 2011). 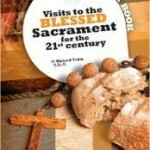 This wonderful new book by Fr Brendan McConvery CSsR, explores the place of the Redemptorists in Irish Catholic life. This is the first full-length study of the Redemptorists in Ireland that tells the story of this religious community from the inside. 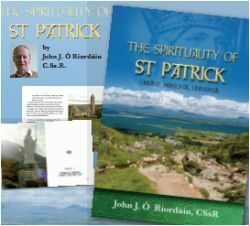 The Spirituality of St Patrick by Fr John J. Ó Ríordáin CSsR is a fountain of nourishment based on the writings of the man himself. The booklet presented here is not just ‘aSsgood read.’ It is the Rule of Life that gave Patrick meaning in success and adversity – something upon which the reader is invited to reﬂect, to ponder, to revisit and to live by. For many people reading the Bible can be a daunting task. Where does one begin? How does one make sense of it? Well-known Redemptorist scripture scholar, Fr Brendan McConvery C.Ss.R has written this ‘manual’ precisely with ordinary people in mind. Nearly three hundred years ago St Alphonsus published his book of Visits to the Blessed Sacrament, which became, and remains, a classic of devotional writing. This new book is offered in continuity with the spirit of that great work. 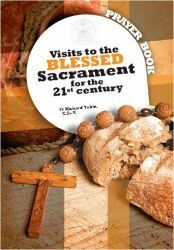 It contains 28 visits – reﬂections and prayers – that draw us ever deeper into the mystery of God and God’s love for humanity. It is a wonderful companion for personal prayer.